A) People with symptoms of SCT meet the classification of Predominantly Inattentive ADHD. B) People who meet the diagnostic criteria for ADHD Inattentive do not all meet the diagnostic criteria for SCT. Put another way, having SCT strongly predicts that you will be diagnosed with the Predominantly Inattentive subtype of ADHD (ADHD-PI) but being Predominantly Inattentive does not predict that you will have symptoms of Sluggish Cognitive Tempo. One study looked at treatment with Methylphenidate (Ritalin) and found that the response to treatment was the same for Predominantly Inattentive ADHD with and without symptoms of SCT. One study found that ADHD-PI individuals with and without Sluggish Cognitive Tempo responded positively to Behavioral Therapy and that both inattentive symptoms and sluggishness symptoms were improved by the behavioral intervention. Another study found that the symptoms of Sluggish Cognitive Tempo did not predict differences in gender, age of onset of ADHD, or overlapping co morbidities. It would appear from the first large study that girls are more likely to be inattentive and sluggish and boys less likely to be. This needs to be looked at more closely. It should be noted that the American Psychiatric Association diagnostic manual, third edition, the DSM III had a diagnosis that was called Attention Deficit Disorder without Hyperactivity. This diagnosis was for people who were inattentive and had "inconsistent levels of orientation and alertness. They were described in the DSM III as sluggish, drowsy, and 'daydreamy'. Field trials prior to publishing the DSM IV failed to demonstrate a positive predictive value in diagnosing Predominantly Inattentive ADHD using the symptoms of SCT and these sluggishness items were discarded from the Inattentive ADHD symptom list. Russell Barkley, a very well respected ADHD authority, believes that SCT and Predominantly Inattentive ADHD are one and the same. The psychiatric community obviously disagreed with him when they published the DSM IV. They continue to disagree with him as they are currently thinking that SCT is an entity separate from ADHD and are considering placing it in a category of its own. Dr. Barkley has been correct about much of what he has reported about ADHD and some may argue that it does not really matter if he is right or wrong about this. SCT and ADHD-I respond about equally well to medication and behavioral therapy, both have inattention, both have fewer disruptive symptoms or externalizing symptoms when they are compared to people with ADHD Combined type or ADHD Hyperactive/Impulsive, and both are more likely to have symptoms of anxiety and depression when they are compared to the other subtypes (even though those with SCT are likely to be more anxious and more depressed). A distinction is necessary because in people with ADHD-PI without SCT the issue of their level of arousal is significant. In people with SCT their low arousal level shades all their other symptoms. In people with SCT a treatment that addresses arousal level is imperative whereas in ADHD-PI the treatment should be tailored to address inattention without affecting arousal level. To treat either SCT or ADHD-PI properly, the treatments must be tailored to the symptoms. A 'one size fits all' approach is not advocated in treating the three different subtypes of ADHD and a 'one size fits all' approach for Predominantly Inattentive ADHD and Sluggish Cognitive Tempo may not be appropriate either. Dr. Barkley said that what separates the SCT from the other subtypes the most is the fact that it has NO problems with "inhibition". Do you think the other PI subtypes have that problem? I want to get it straight - you say the other PI is day dreamy (wonder around in his thoughts) but not hyppoactive (slow)? It doesn't matter to me if you call it PI or SCT. The fact is one of them has to be addressed as a separate disorder. You can't say the "day-dreamy" type whose problem is internal is similar to the PH/C type whose problem is external. Right now in some point in their lives (maybe even at the very beginning) the C type might be considered (according to the DSM) as a PI, meaning them and "day-dreamy" type are at the same spot - this has got to change. We know that people with ADHD-Pi are not impulsive. We believe that people with SCT are probably not impulsive though we do not have enough studies to state that without a doubt. I had someone comment on this blog who has symptoms of SCT and impulsiveness. I do not think that Dr Barkley or anyone else knows much about SCT as it has not been looked at apart from it's position as a sub-category or ADHD-PI. There is a difference between being 'spacey' easily distracted, or 'daydreamy'and being slow. People with ADHD-PI without SCT are easily distracted and can get lost in their thoughts but that does not mean that they also process information slowly. So true! Thanks for your comment! I believe my husband suffers from SCT and has been "self medicating" with Vicodin. He claims that for the first time in his life he feels normal and can function properly. Can this be true? Thanks so much for your question. Vicodin is an opiate. It makes you feel good. It is NOT a cure for SCT anymore than alcohol or marijuana are a cure for SCT, ADHD or ADHD-PI. Vicodin is addictive. Please try to get your husband in to see a physician and/or psychiatrist in order that he may try something other than Vicodin that might help him. This has been my most valuable distraction today. Thank you for the site and your sharing. I was diagnosed 2 yrs ago,by my GP. No insurance for Psych at the moment. My daughter needs full workup somewhere they have nuanced knowledge...she's already on Sertraline for depression, has battle anxiety and been told has ADD...some ODD traits too. 16yr old amazing Aquarian but suffering. Pls...any suggestions for diagnostic expert? We are on Long Island, but will travel if necessary. (she is a member of different insurance which covers psych). Thanks...need to do this asap. The Hallowell Centers in New York City would be my first recommendation. Dr. Edward Hallowell is the author of Driven to Distraction and is widely respected in this field. He has an office in Needham, MA and in New York, NY. You can find a link to his website on the right of this webpage. I was recently diagnosed as ADHD and now after doing some research stumbled onto SCT and the bells went off in my head. Holy Cow!!! Thats me!!! I am going to mention it to my physician at my next visit. So far the first few days on Adderral were great but the affects have leveled off after the first week. I'm trying to watch my diet and really pay attention to my patterns to see what more I can glean about my particular case. Many many adult years of experiments both self and wrongly diagnosed by many.- Daily excersize and adderal will greatly help the most.- I find that there is some correlation with seasons of the year but light treatments do not have much effect-.Practice in overcoming daily obstacles helps steer ones focus in the right direction - Do not set expectations that others will identify. Keep us posted and thanks for writing in!! I have SCT and I am so sick of it and you always have to have great insurance just to try anything so they can take advantage of it and jack up the price. Anywhere I can go and volunteer to be a guniea pig for the cure if I sign something saying I won't sue if they turn me into a brain dead zombie? PS. Because that's pretty much what I am now anyway. What part of the country do you live in? I can see if there are any clinical trials going on in your area. Thanks for writing. This - as well as that previous entry - was a terrific read. I was diagnosed with ADHD-PI a few months back and have been feeling a little discouraged lately, being that my slow speed of comprehension/processing could not really be explained for by the supposed characteristics that a person with PI exhibits. After doing a bit of research, however, I learned about SCT (something that the man who diagnosed me did not even mention) and how well I seem to fit the description. 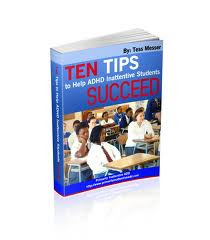 Tess: your writings have helped me fortify my hypothesis about what learning disability I may have and I will be eagerly anticipating a second evaluation once the new-and-improved DSM arrives in 2012. I think that the DSM is due out in 2013 and that hopefully, by then, we will have a much better picture of SCT. Well that is what I hope anyway. I was DX'd several years ago ADHD before ADD-PI or SCT rose into mainstream thinking. The very reason I sought help was because I get super-stuck in my work. I KNOW what to do, I KNOW the consequences, but I just don't DO what I KNOW I need to do, at least not often enough. The consequences have to get pretty harsh before I go into action. I drink too much because I love the stim and when left to myself, getting much done is a mess...I constantly seek things that interest me. 35+ years of underperforming & I'm ready to break from this hopefully once and for all so I can more closely get what I know transferred into action. So, all that said, I am trying to find behavior treatment sources to deal with this but it isn't easy. I would prefer non-medication avenues if possible, though I suppose I shouldn't totally rule them out if they are effective. Anyone know good sources for behavior modification treatment for ADD SCT? Thanks! If you email me with the part of the country that you live in, I can research what behavioral therapy might be available in your area. It sounds like you are on the right tract to getting help. Thanks for writing in and sorry it took me so long to respond. This site is very helpful. I have a 5th grader who completely fits the description add/sct. he is only NOT sluggish when playing outdoors. my question is: can combination of medicines be used to treat. he seems to have no appetite on adderal and now vivanse. wondering if the dose of adderal can be reduced and combined with strattera (i read it helps more with memory)? Thanks for your help. Yes this is what is often done. A combination can work better than a single medication. Dr. Charles Parker is a pyschiatrist who has worked a lot with combination medication and he has written a book where he talks about these kind of situations. 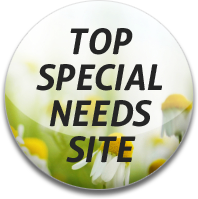 You can find the book which is called 'Medication Rules' under the heading 'Inattentive ADHD resources' in the Forum and Resources section of this blog which can be found in the upper right hand corner of this page. Thanks for commenting. Dr. Barkley was just quoted in CHADD magazine saying "ADD/SCT is not a subtype of ADHD. It is a different disorder of attention entirely." At the Fall CHADD Conference he defined ADHD as a disorder characterized by a lack of emotional control and a lack of inhibition. He clearly was speaking of the Combined type of ADHD and of the Hyperactive type and NOT at all of the ADHD-PI 0r SCT type. His speech at that conference totally ignored the Inattentive subtype and the Sluggish subtype. It was clear to me that he no longer considered ADHD-PI or SCT as the same disorder as ADHD. He is a prominent voice in the ADHD psychiatric research community and it is very likely that his research notions regarding ADHD-PI and SCT will greatly influence the American Psychiatric Associations recommendations regarding removing ADHD-PI and SCT from the broad ADHD category. This may be a great thing as it will bring greater attention to these subtypes or it may be terrible as, from a numbers perspective, there are far fewer adults and children diagnosed with ADHD-PI and SCT than diagnosed with Combined type ADHD. Time will tell. Thanks for your up to the moment reporting!! My son recently started Strattera. I think his attention has improved somewhat (we'll know more when school starts) but I am very concerned that he is still very lethargic and slow to respond. He has a small group of friends as he often comes across as disinterested. His speech is slow as he has a hard time formulating what he wants to say. By the time he gets the words out, he's lost everyone's attention. I am sad for him. Are there other medications that would help him more with his low energy and slow speech? Should I look to behavior therapies instead? Do you have any suggestions on where we can go in the Suffolk/Nassau County area for more help (behavior modification, biofeedback, etc.)? He is currently under the care of a pediatric neurologist. Also, I would be interested in any trials/studies in the area on SCT. I don't know where to start. I should clarify: I am in the Long Island area. I am a 30yr old male, having been diagnosed when I was around five years old as having ADHD/PI. I have severe depression as well as moderately severe anxiety. I am very intelligent, yet struggle with many simple tasks throughout the day. I do fit all the criteria of SCT as is outlined in the DSM-III. I've responded well to methylphenidate and mixed amphetamines in the past, however this was over ten years ago. The NSRI's made my anxiety and depression worse while never lifting the fog. Years in therapy didn't help much, no insurance, wrong medication that only covers and masks the symptoms, etc. I speak slowly, only because I feel better about what I say when I know that it comes out in the way that I want. My personal relationships are nonexistent, not because I am unattractive or unlikable but because i'm usually too much 'work' for the other person. Many people have jokingly called me 'Eeyore'. I find that to be mildly insulting, yet it is fairly accurate. I'm the best friend anyone could have, but i'll never be like Tiger. There are really no words to describe what our family has been through in dealing with our wonderful, but difficult to deal with, son. Since the age of 6 years old (now, 39), we have struggled to understand "how much is a disability and how much is our son simply being lazy." We are amazed that he has not turned to drug abuse (I likely would). PLEASE do all that you can to get the message of SCT out to all, especially educators and pupil appraisal personnel. Without understanding our son from the early years of school failure and now the unbelievable inability to retain meaningful employment, we (& he) continues to struggle. He now lives far away from us, and we attempt to help him; however, he is not consistent with the organization it would take to actually see a Psychiatrist & remember to take medication on a regular basis. We know this because of the many, many attempts at this while he did live with us. We believe that our son is a wonderful young man & we will continue to love & support him. I cannot really imagine how he must struggle day to day...hopefully, with more understanding of SCT, he may get the help/understanding from those around him (family, friends, employers.) He has never been lazy. He most certainly has a Sluggish, Cognitive Problem. God help him. As I have mentioned - I have had many years of living with this illness.Some doctors have suggested that I know more than they do and that I should complete studies in this area - But I'm more interested in soloutions and how we can co-exist with todays world economy. Christine, My kids also take the B12, Fish oil, Rhodiola and Bacopa and we have seen improvements as well! Thanks for the tip ! I had not paid attention to Rhodiola and Bacopa but I think I will try them now. I recently read about GABA and taurine for kids with sleep problems and depression and ADHD which all fit my daughter when without supplements. Have you tried those ? Hi, Both GABA and Taurine can be used for anxiety as they can be relaxing,calming and or sedating. I would not recommend these for anyone with Sluggish Cognitive Tempo or Depression as I think that they would make the person more sluggish. The Rhodiola is stimulating and for this reason is a better choice. Thanks for your great question! I stayed up deliberately texting with a guy. I wasn't having trouble sleep. I also take Clonodine, so that helps alot... but not always. I was up until I think 3am, woken up by my dad at 9am to take my medication, and he would not go to work until I got up, so I had to get up. Didn't bother going back to bed (would have to climb up the bunkbed wall latter anyway). I notice I want to sleep before I take my medication, but not usually after I take it, unless I am laying down after taking it, not particularly rested, and have nothing particularly exciting waiting for me to wake up. I'm sorry about making three comments. okay one more comment. "I was DX'd several years ago ADHD before ADD-PI or SCT rose into mainstream thinking. The very reason I sought help was because I get super-stuck in my work. I KNOW what to do, I KNOW the consequences, but I just don't DO what I KNOW I need to do, at least not often enough. The consequences have to get pretty harsh before I go into action." I am alot like this. It's a scary feeling/situation. There's a lot about what supplements and meds people are trying to alleviate the symptoms, but are there other foods, chemicals etc. that are contraindicated for SCT (i.e. sugar, caffeine etc. )?